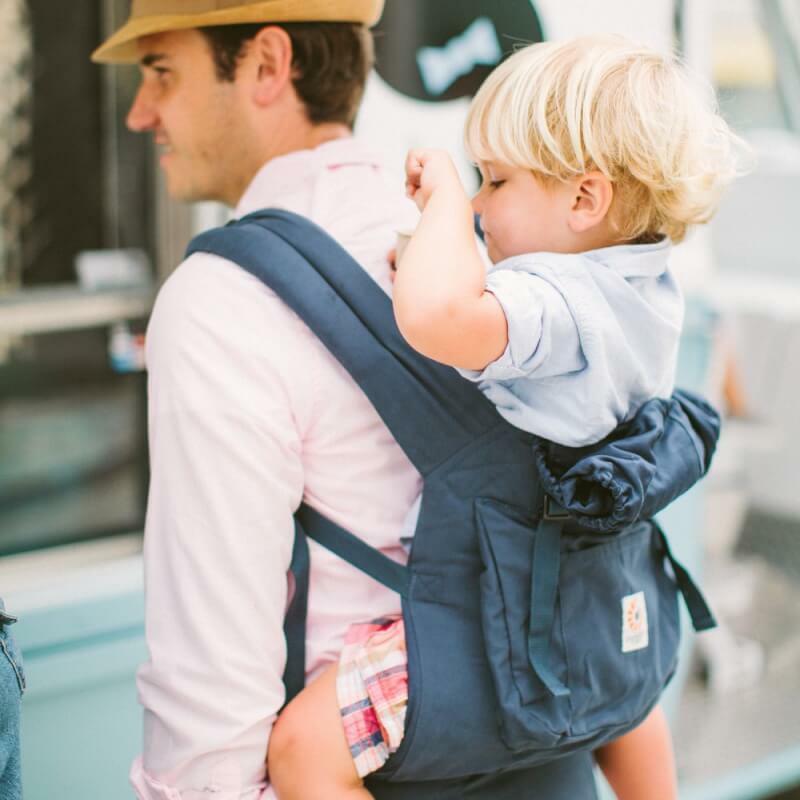 With all the benefits of the original carrier but crafted from 100% organic cotton twill and sateen that's super soft and gentle against young skin. 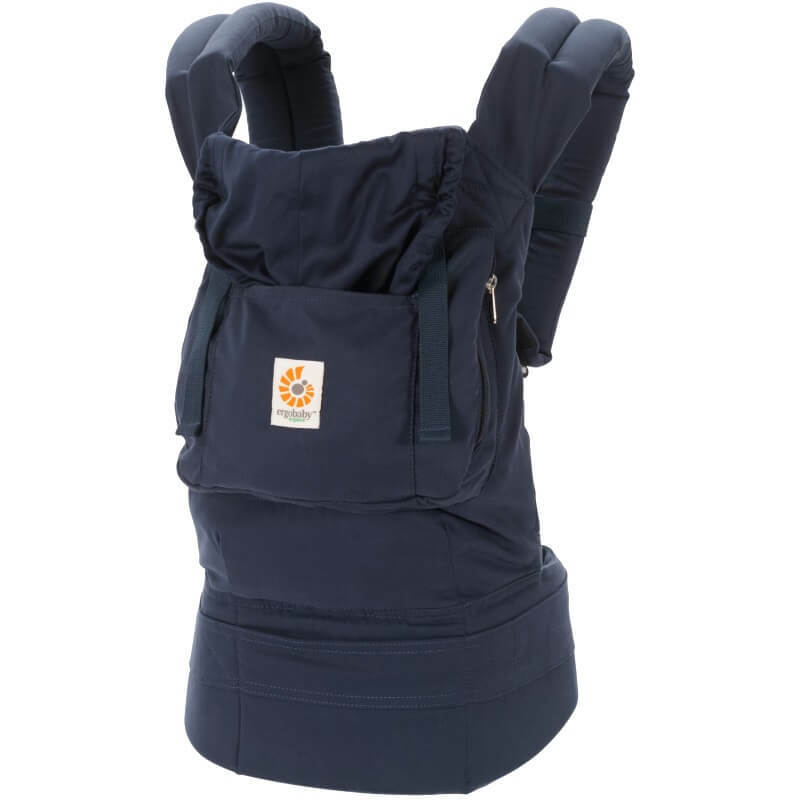 Comfortable for both parent and child, the carrier cradles baby in a natural sitting position whilst distributing baby's weight between your shoulders and hips for maximum comfort. 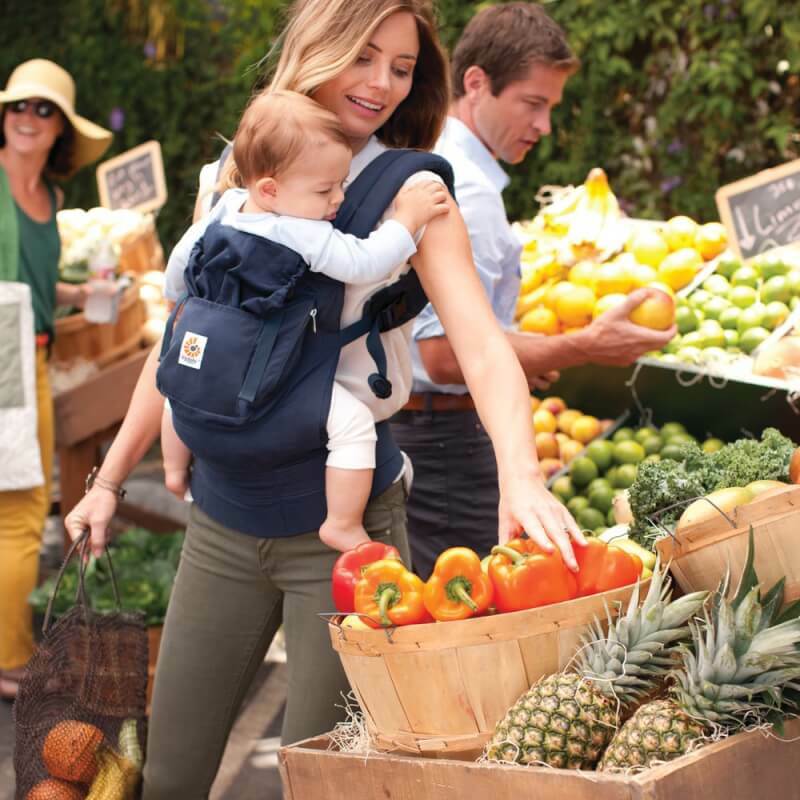 The carrier features three carry positions from front, back and hip for versatile wear. 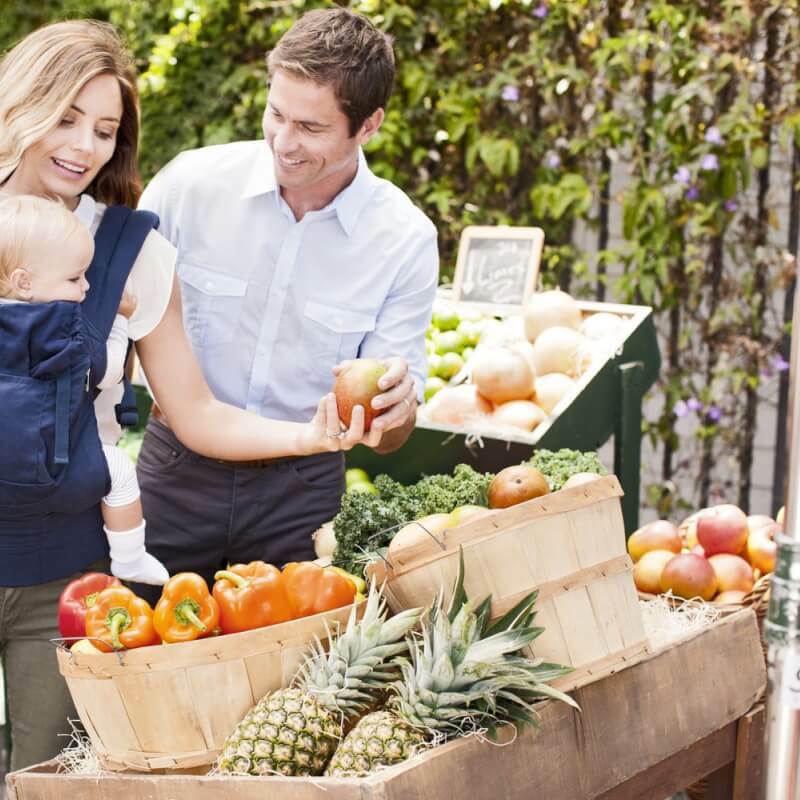 Padded shoulder straps and a adjustable waist belt ensure a secure fit and the large zip storage pockets are perfect for keeping belongings safe. Complete with a handy sleeping hood made from 100% sateen to support baby's head as they sleep and also doubles as a wind and rain shield. Featuring five adjustable lengths that easily snap into place and provides ample head space for growing babies. 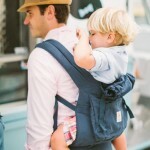 Suitable for adults between 5' and 6'5" and babies from 3.2-20kg.